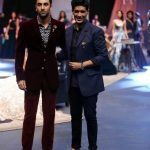 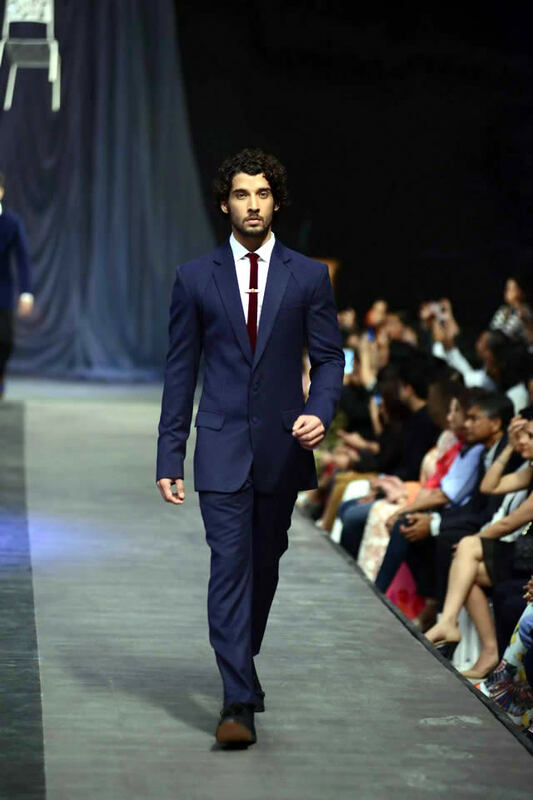 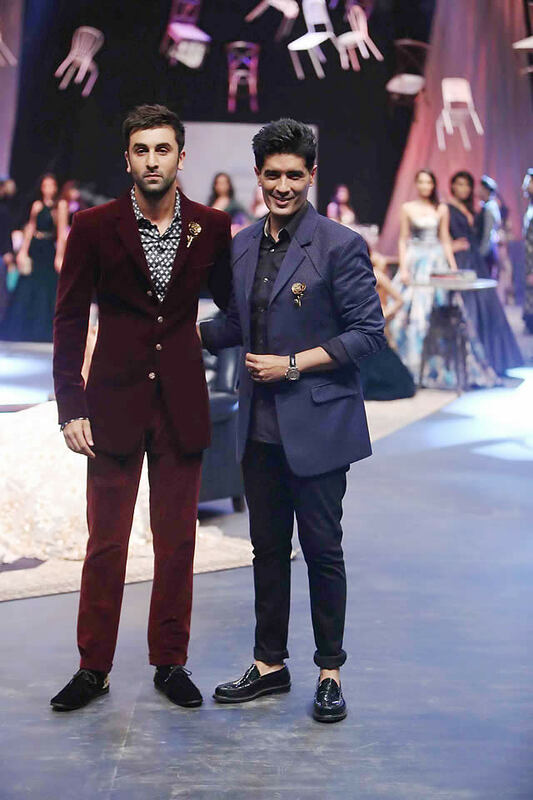 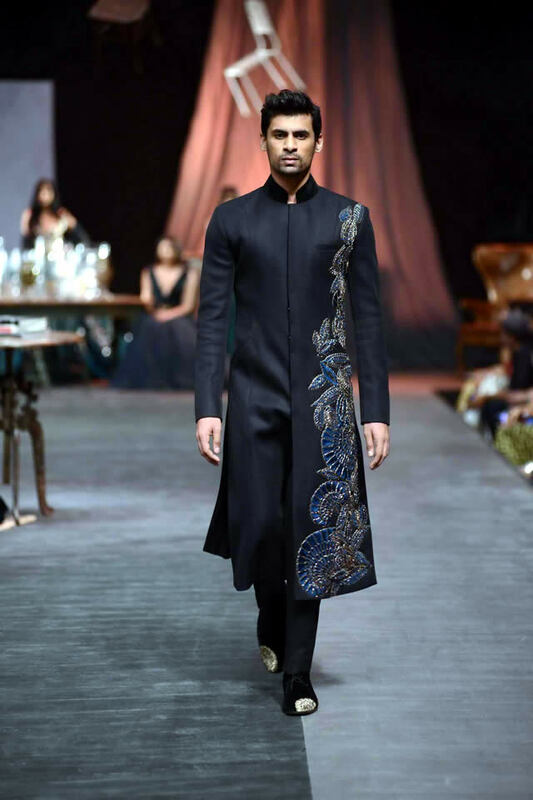 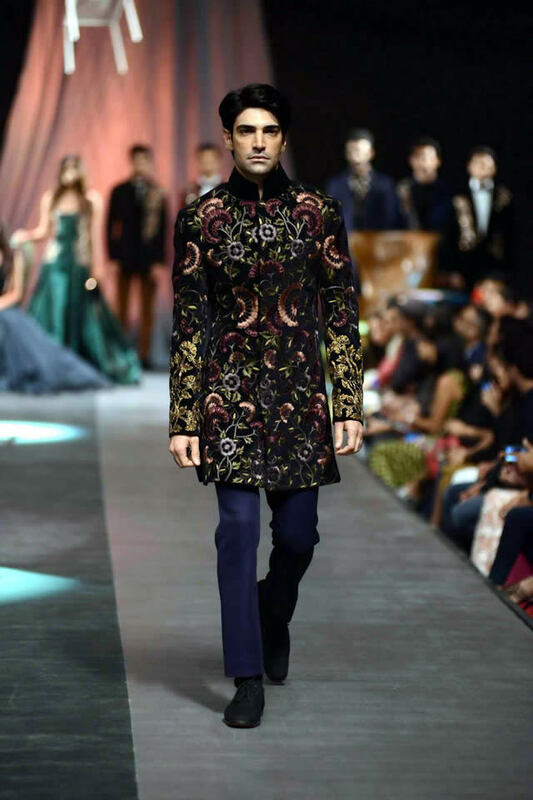 Bollywood Actor Ranbir Kapoor unveils Manish Malhotra mens collection line at Lakme Fashion Week W/F 2015. 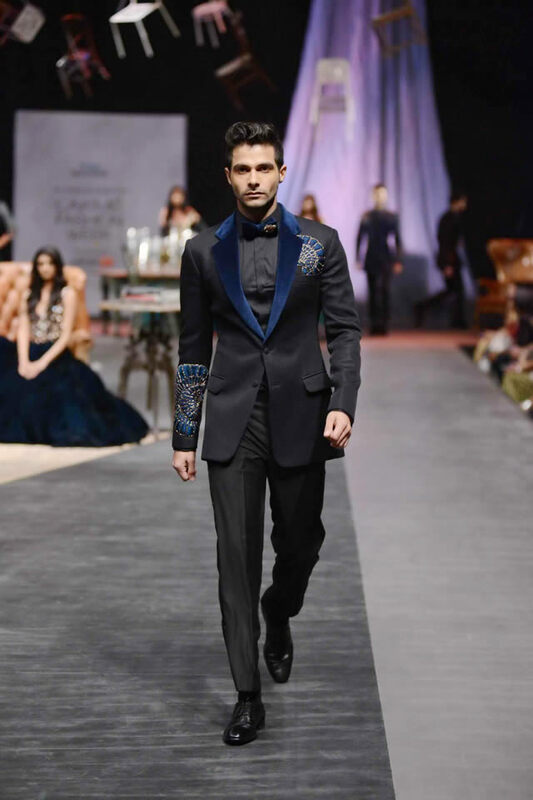 Manish Malhotra displayed his first ever menswear collection called 'The Gentlemen's Club' at the Lakmé Fashion Week winter/festive 2015. 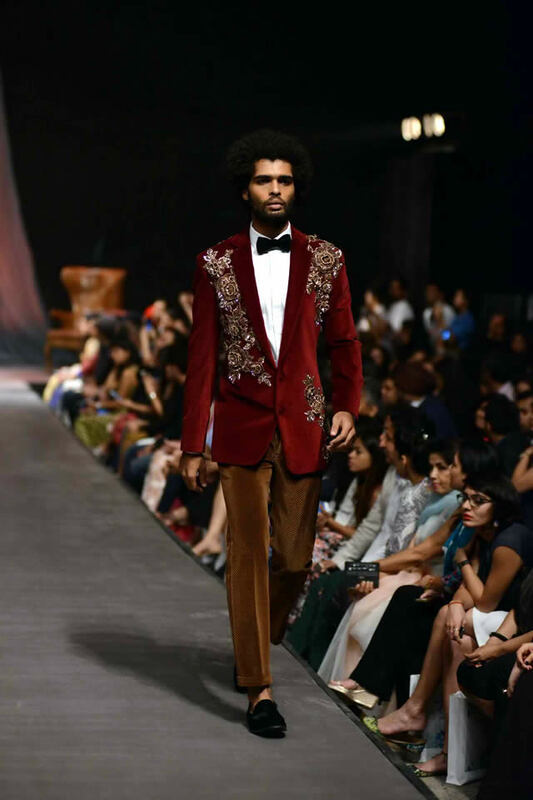 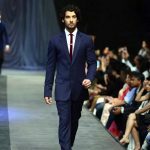 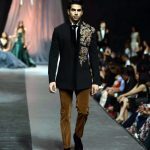 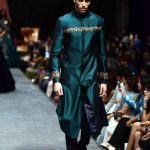 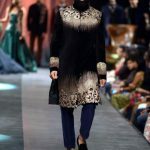 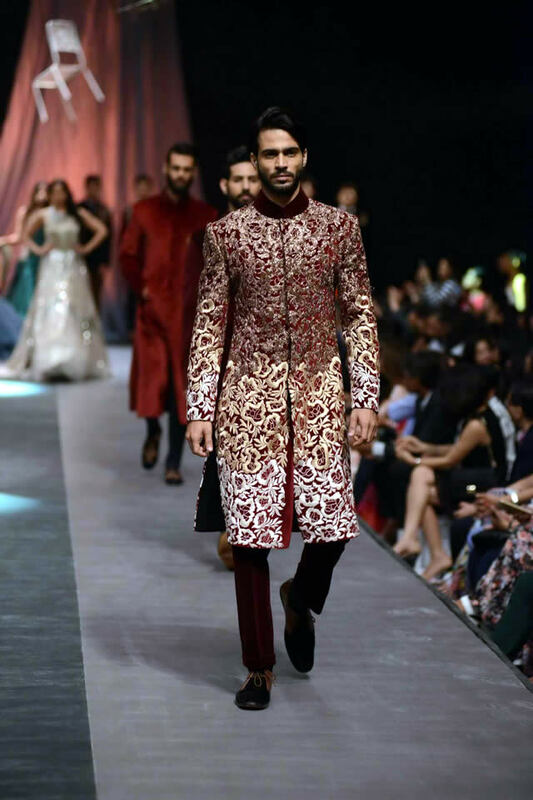 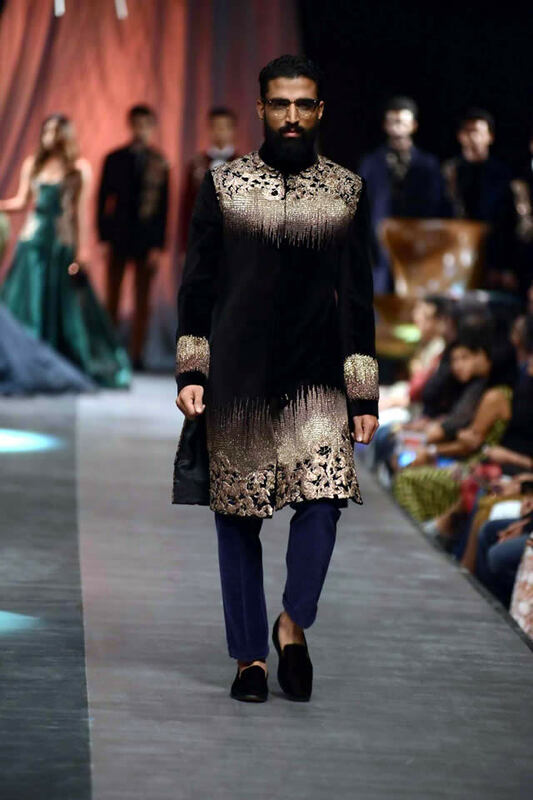 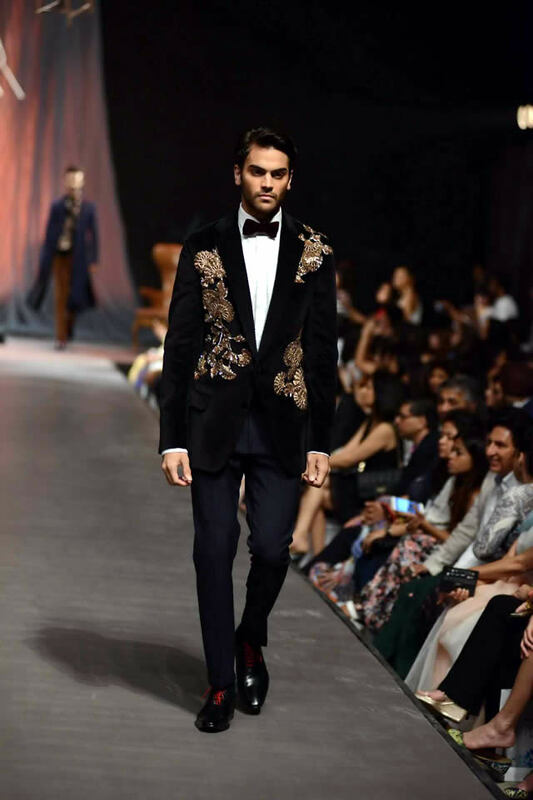 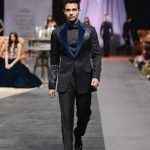 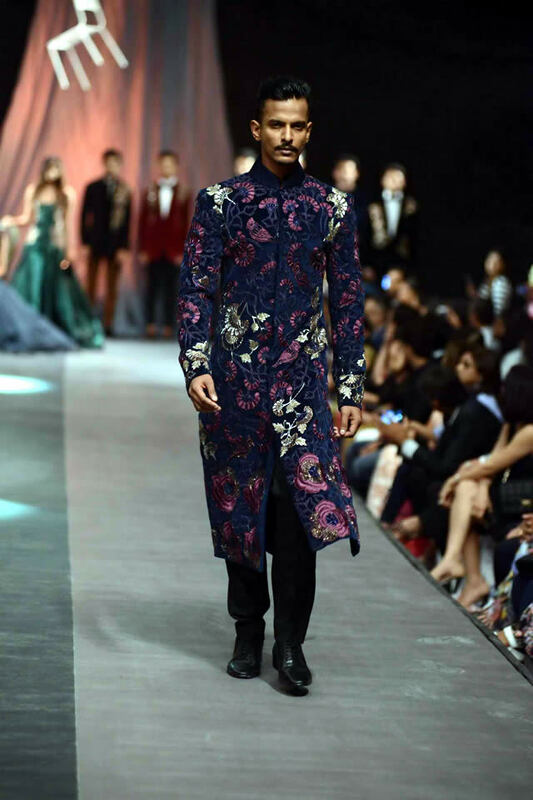 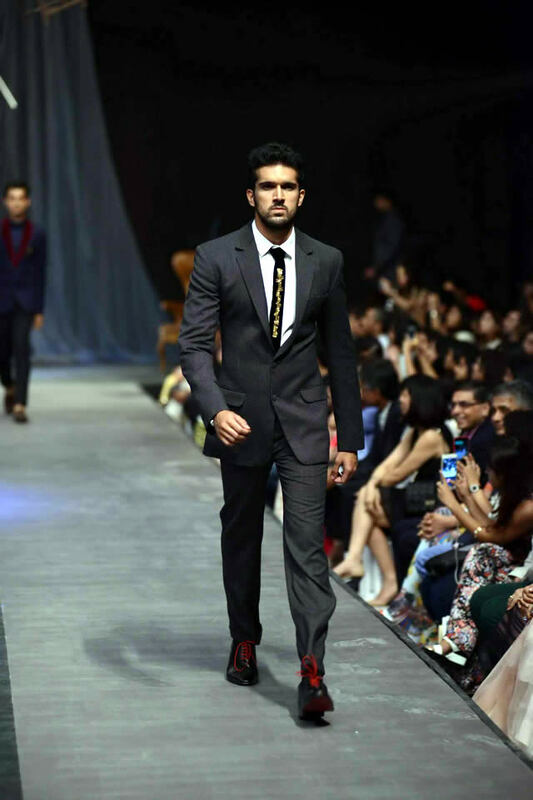 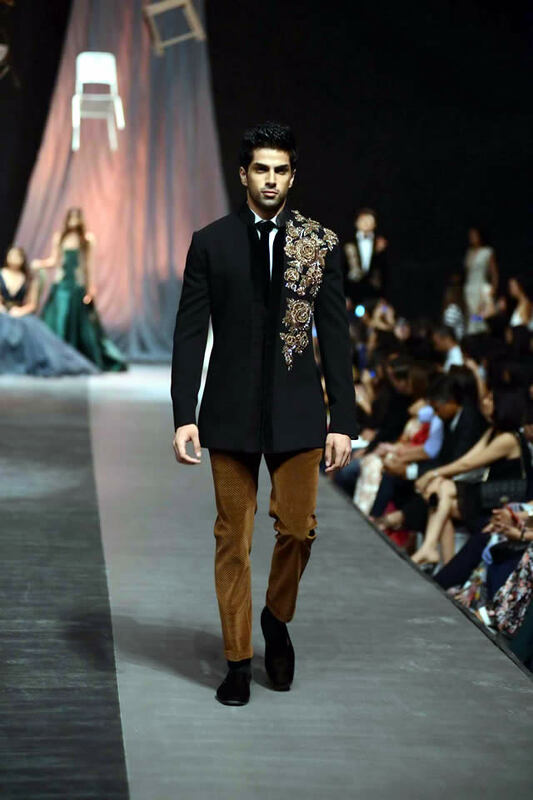 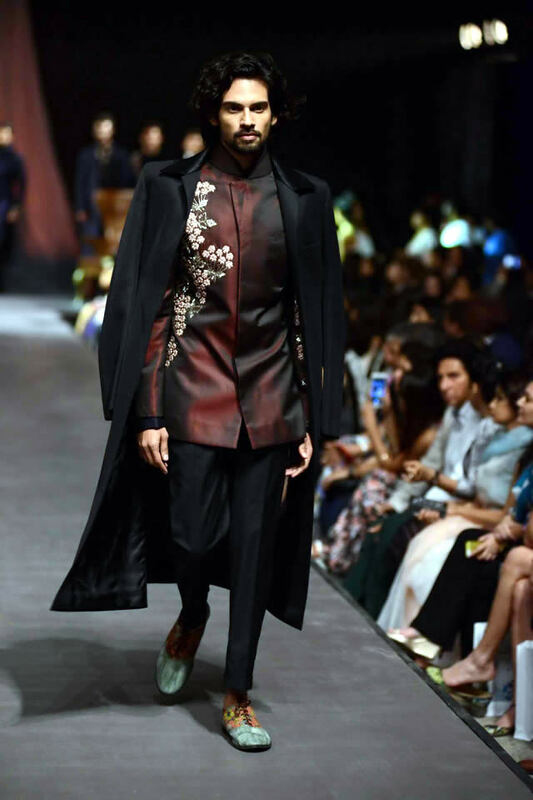 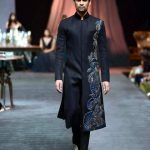 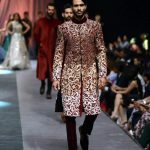 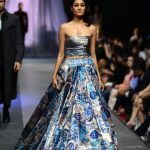 Indian designer Manish Malhotra showcased his menswear collection called 'The Gentlemen's Club' at the Lakmé Fashion Week winter/festive 2015. 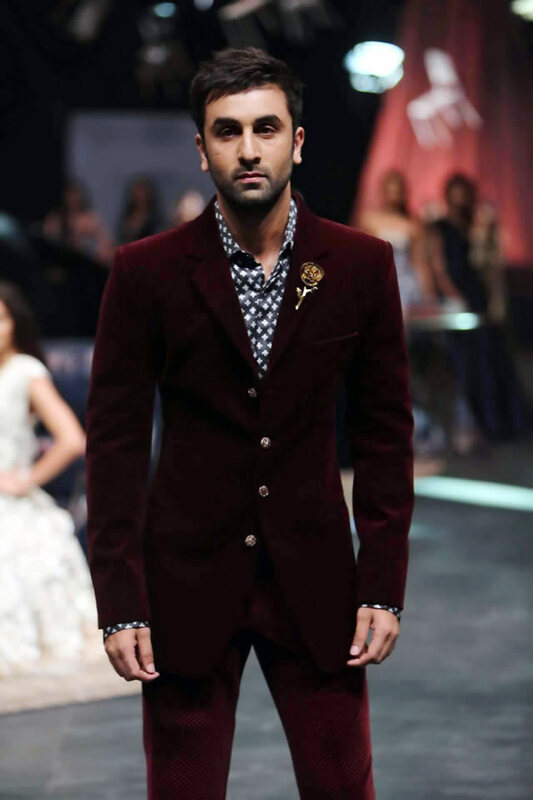 And gracing the ramp was bollywood hunk Ranbir Kapoor, who turned showstopper for the designer. Structured suits and textured trench coats were the highlight of the show with velvet remaining a staple in all his outfits. 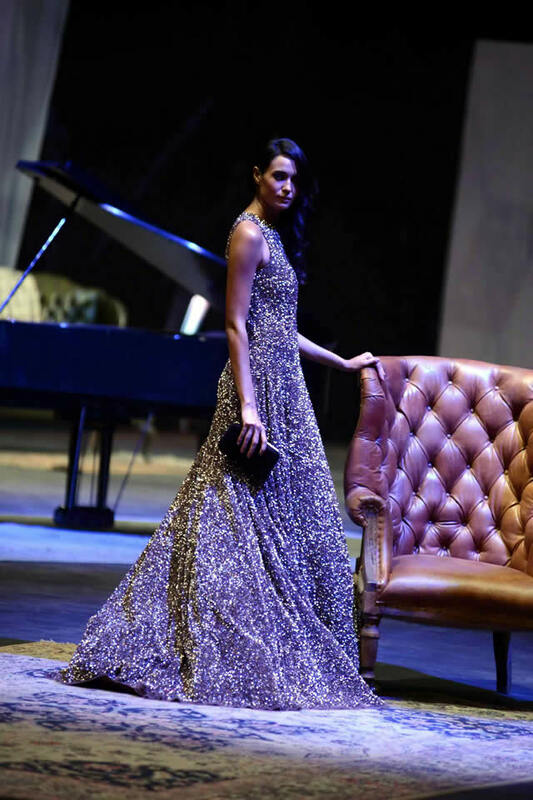 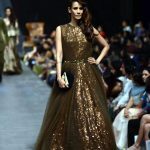 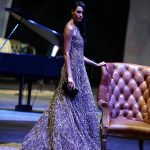 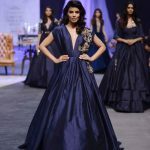 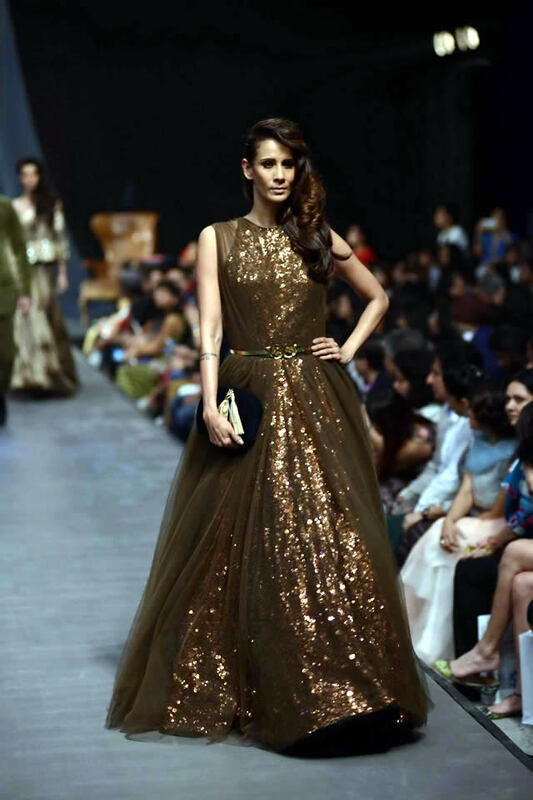 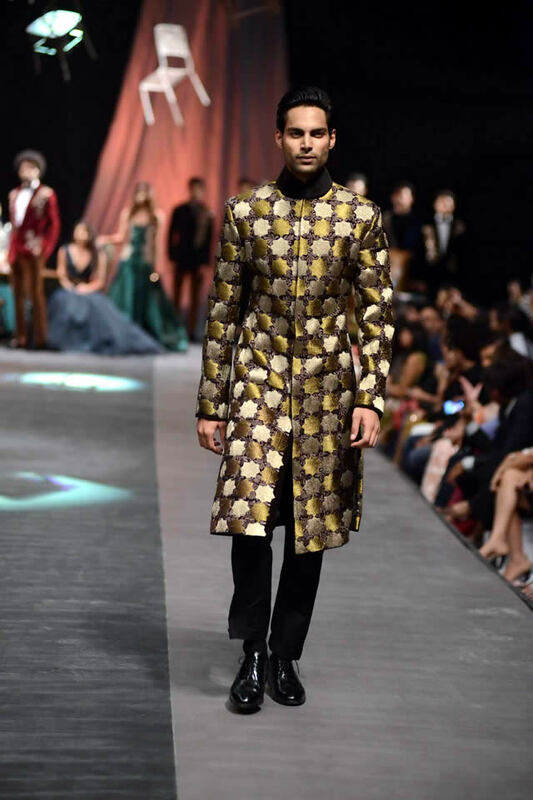 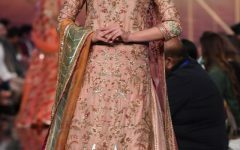 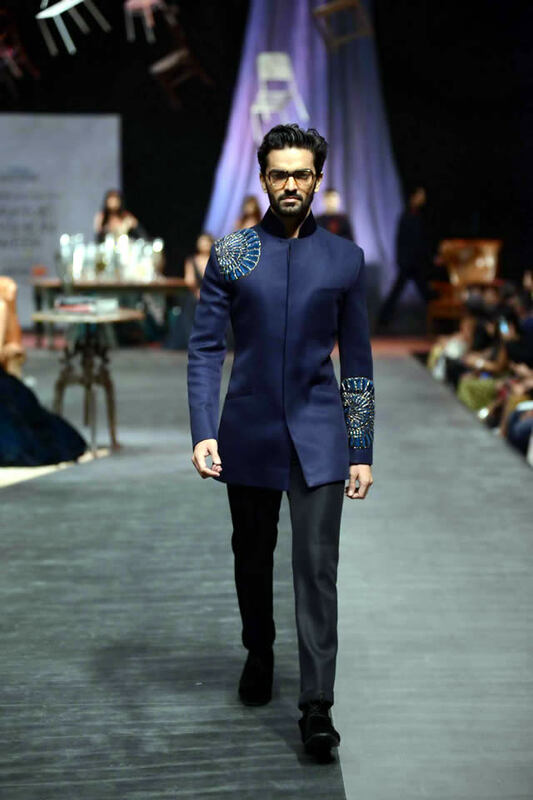 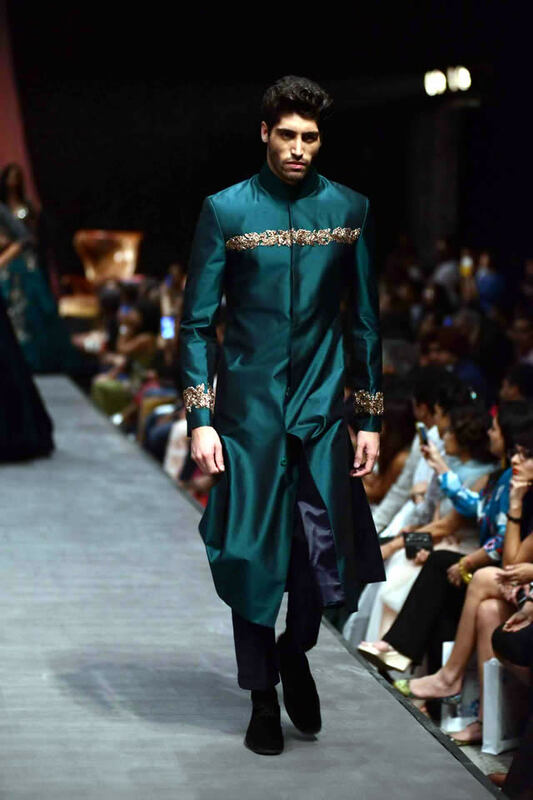 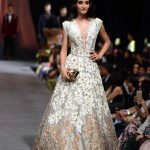 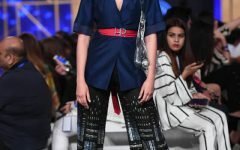 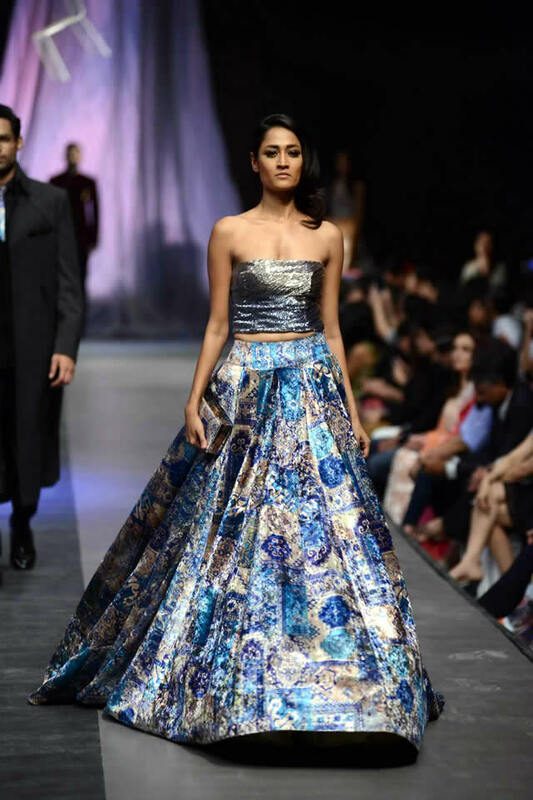 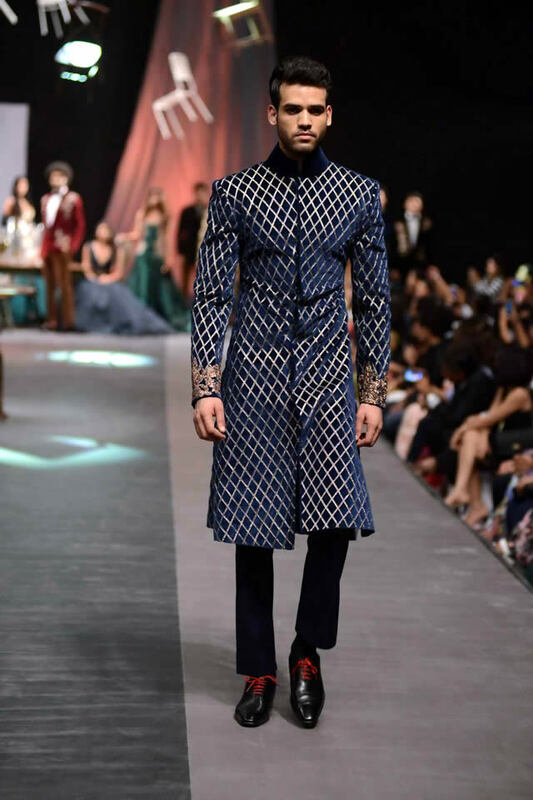 His creation paid a homage to the time-honoured silhouettes such as sherwani, bandhgala and band jacket. 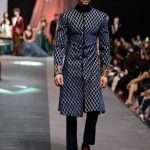 The Parisian prints on the bandi jacket were intriguing. 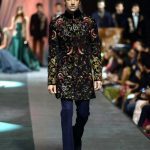 Also the gold botanical motifs on the jackets jazzed up the creation. 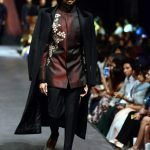 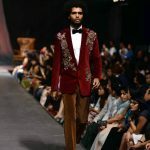 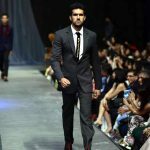 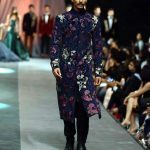 Talking about his collection, the designer said, "The Gentlemen’s Club is very special to me as it marks the commencement of a new journey for a decade-old label. 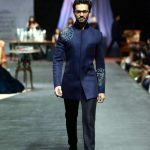 This new collection is for the confident, impeccably groomed man who likes to mix it up – a modern perspective blended with rich Indian tradition."